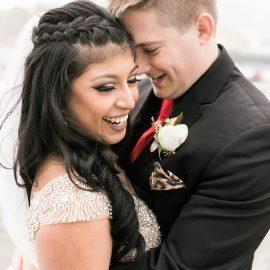 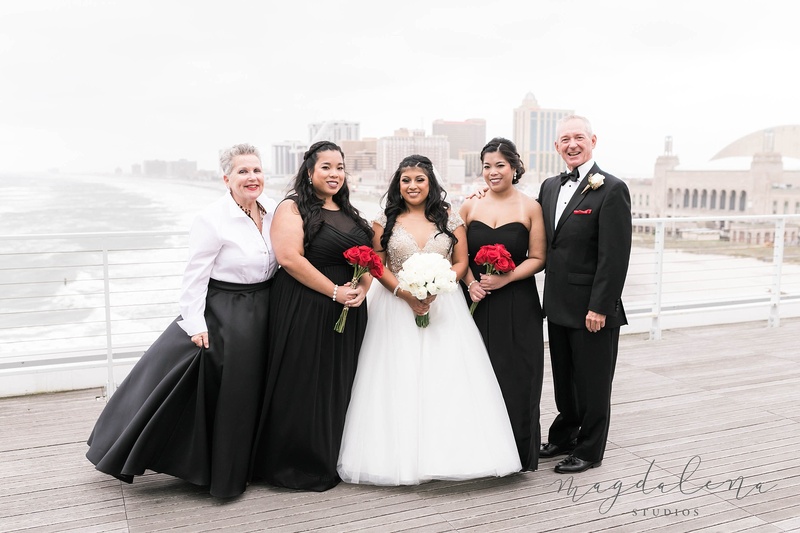 Kenna and Michael met while working during the summers at B&B Department Store in Ocean City, New Jersey. 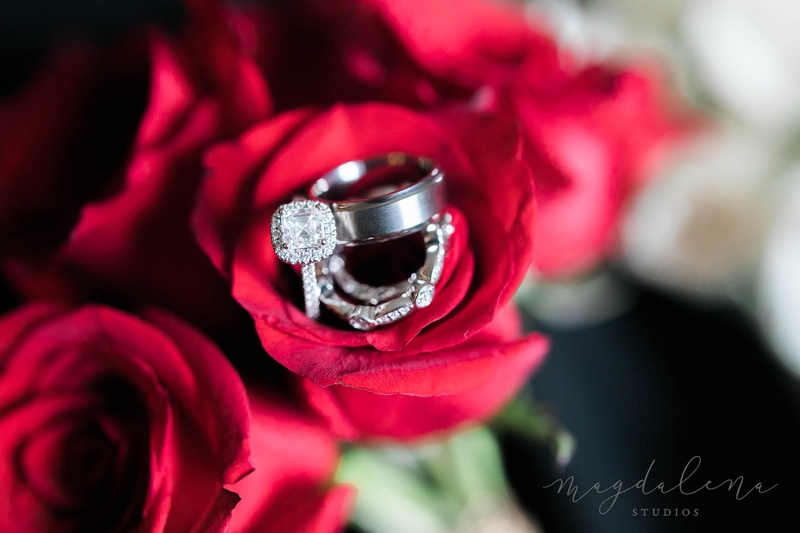 This couple were together for four years until Michael popped the question. 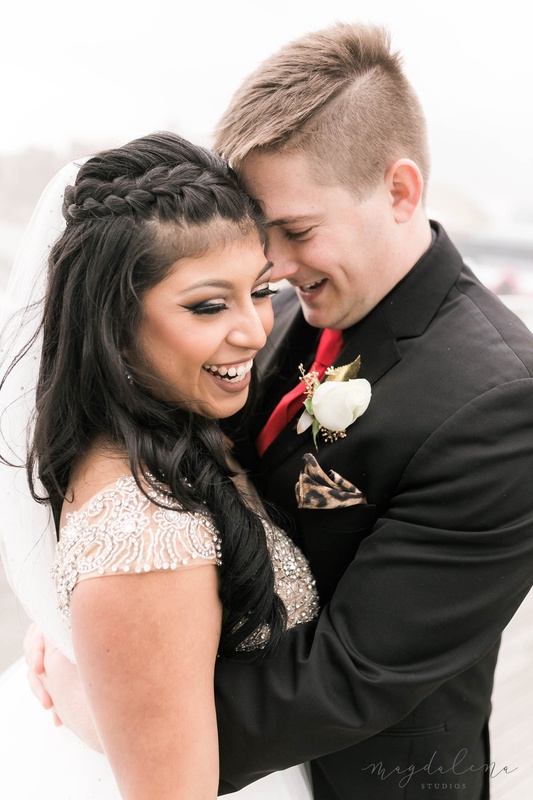 On December 28th, 2016 Kenna and Michael headed toward Smithville Inn for dinner. 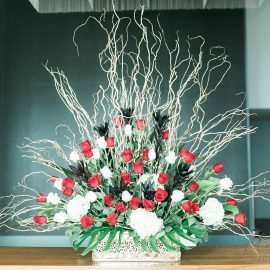 Every Christmas Smithville Village hosts a light show on the lake of “Dancing Trees”. 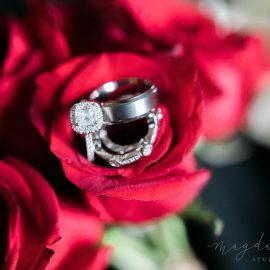 Kenna and Michael got to Smithville a little earlier than planned to catch the light show and while watching, Mike proposed. 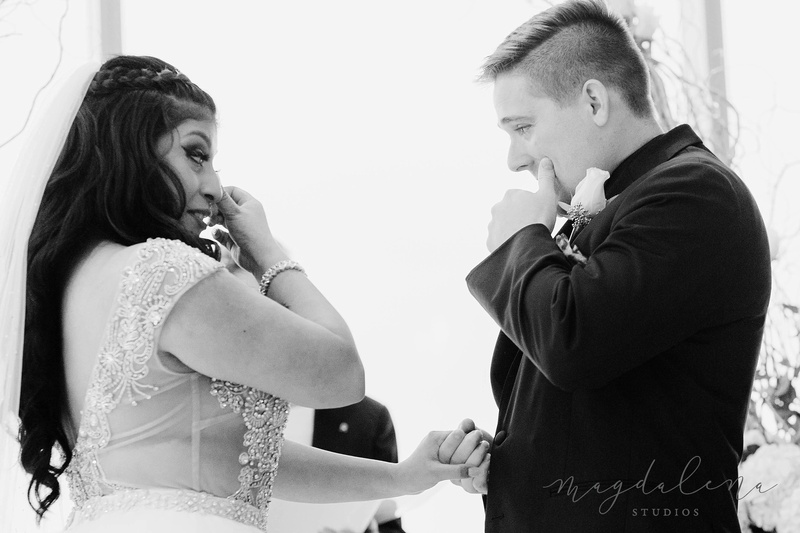 Of course, Kenna said, ‘”Yes”. 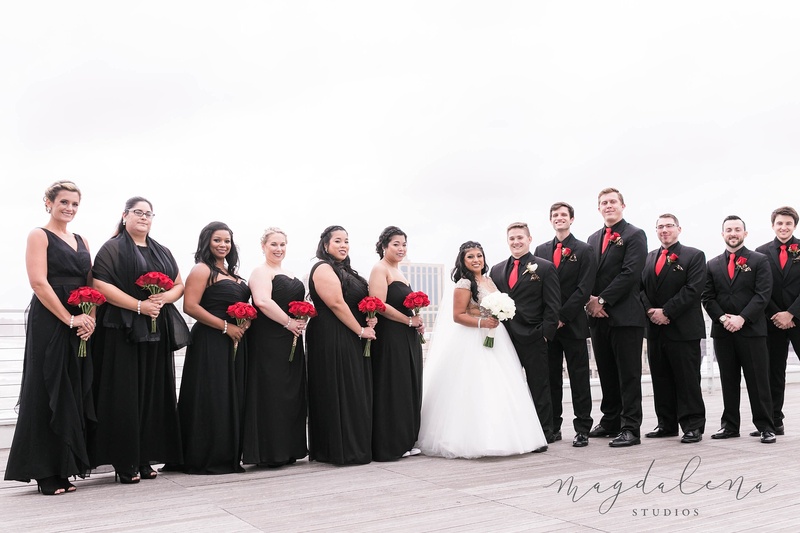 Kenna and Michael opted to defy all stereotypes and picked Friday the 13th for their wedding day, October 13th, 2017 to be exact. 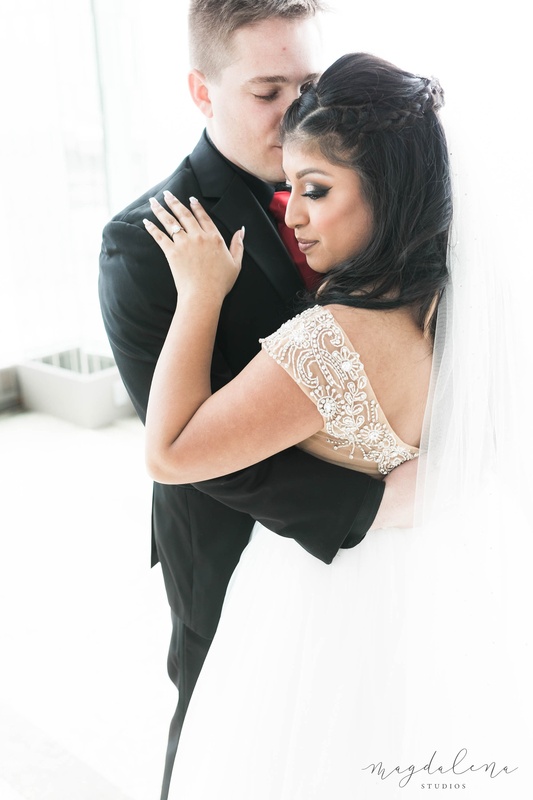 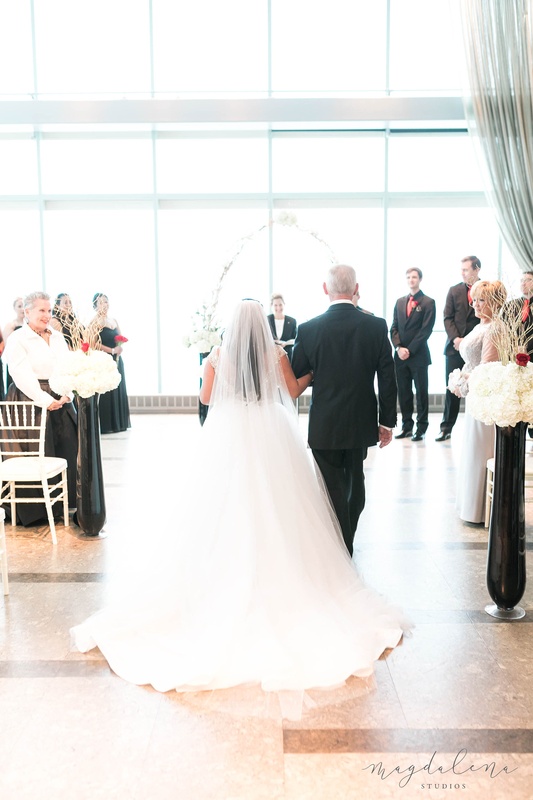 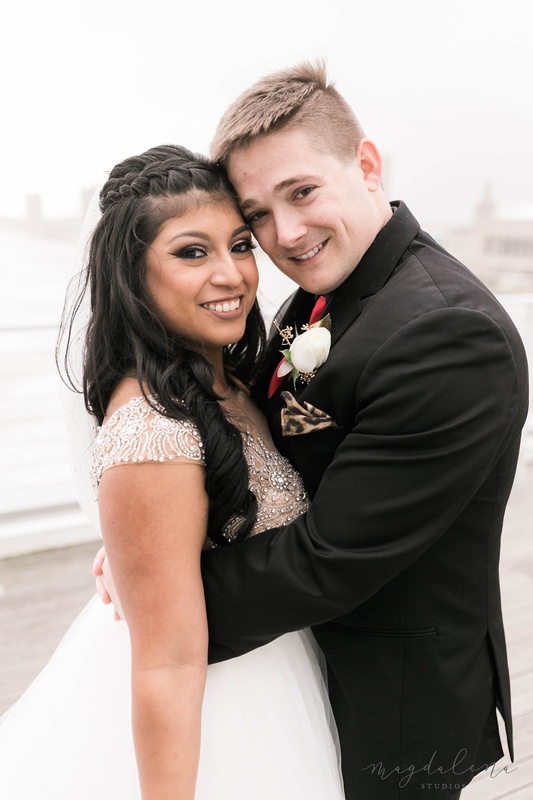 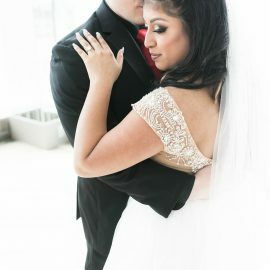 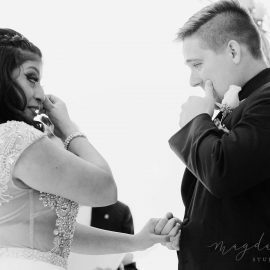 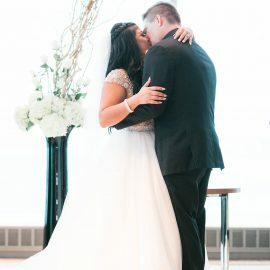 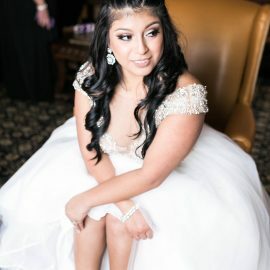 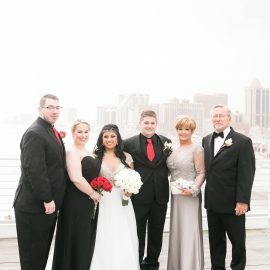 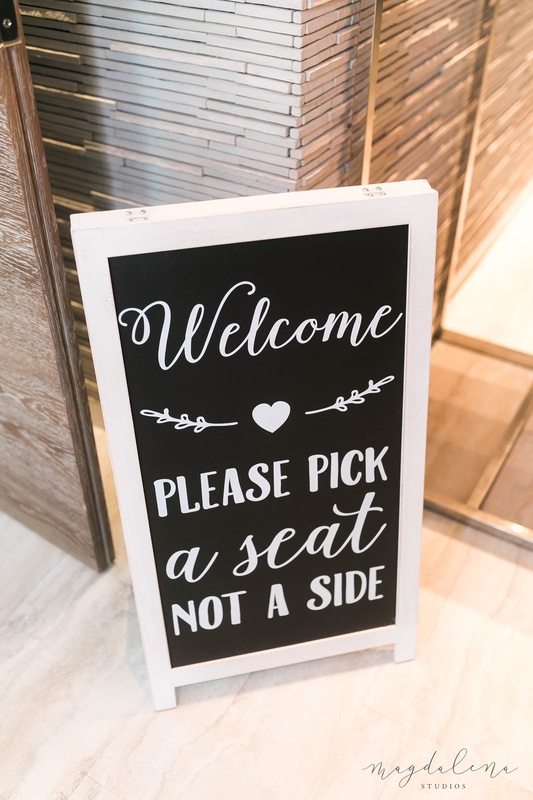 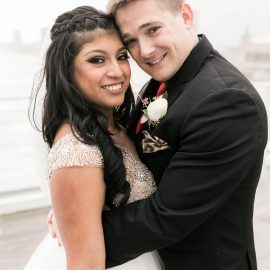 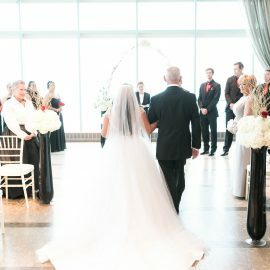 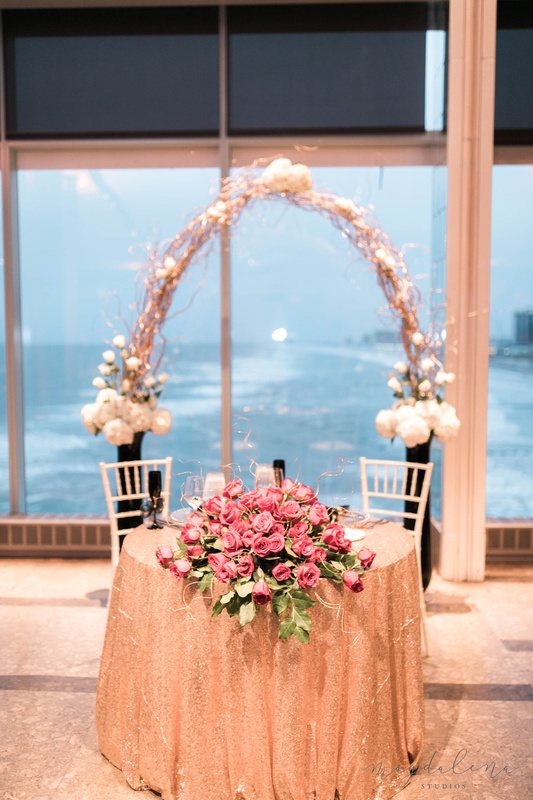 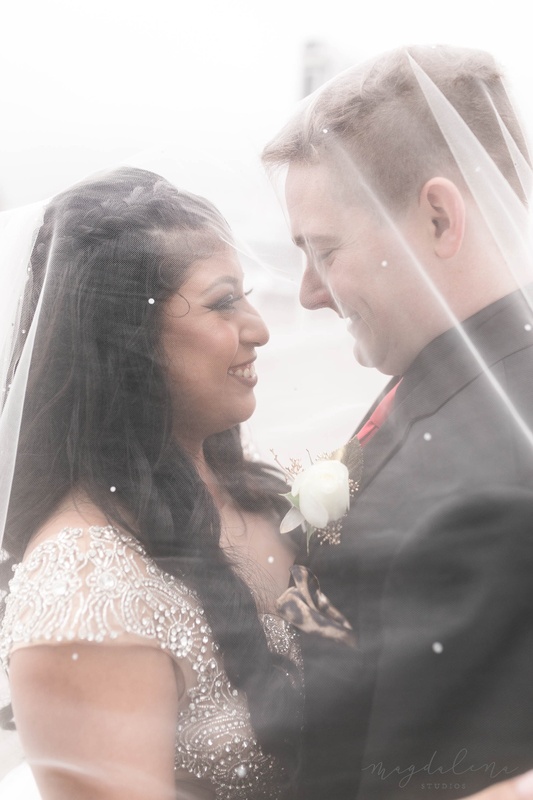 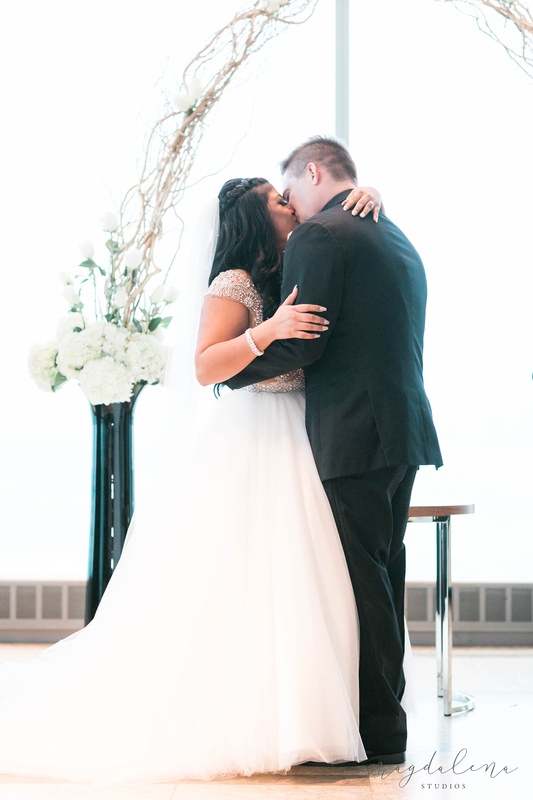 The couple married on site at One Atlantic Events with reception to follow. 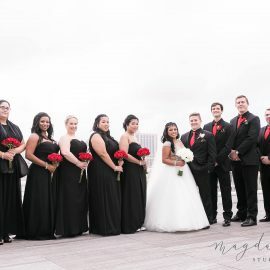 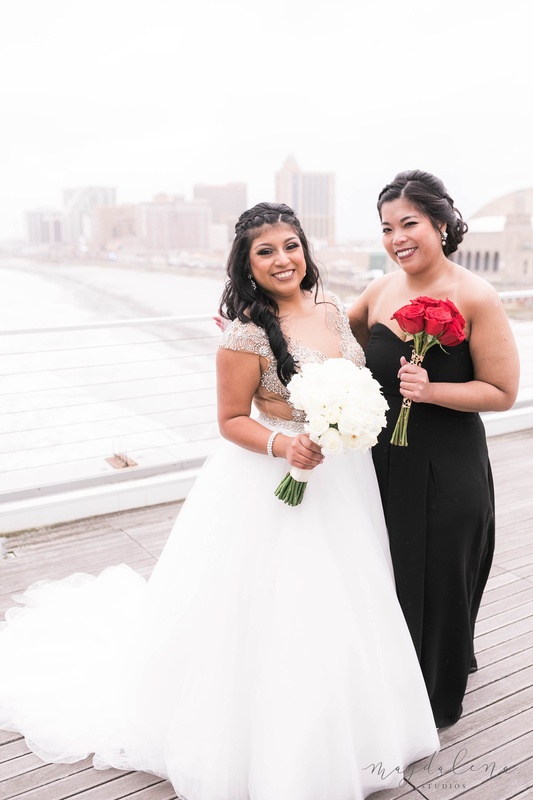 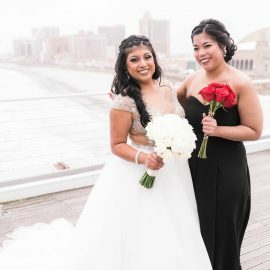 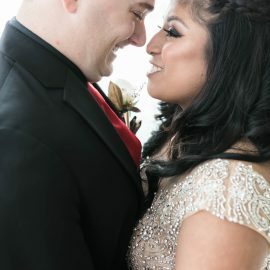 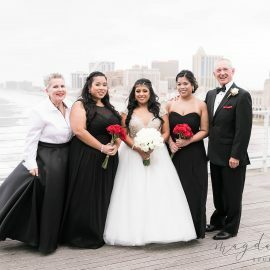 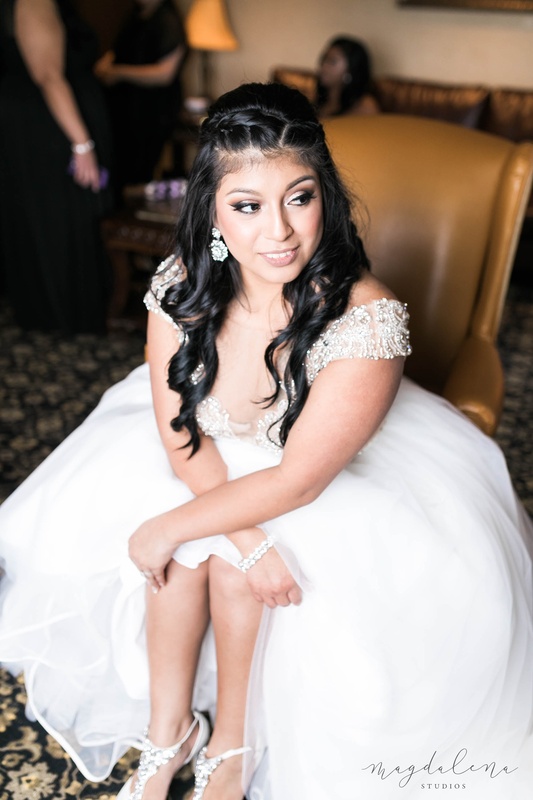 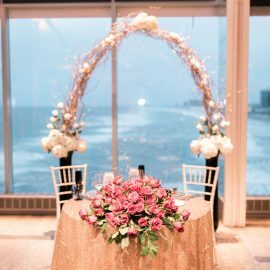 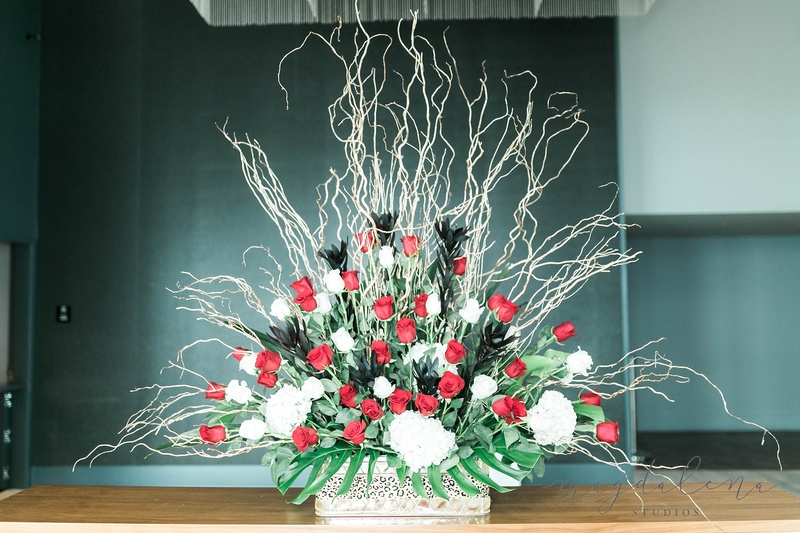 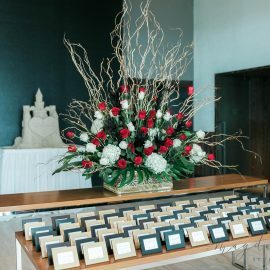 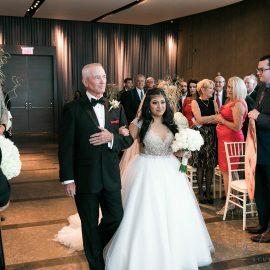 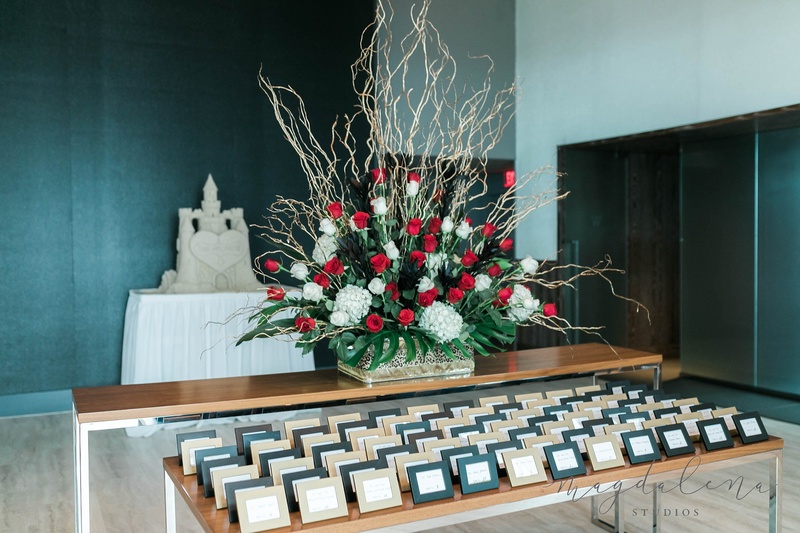 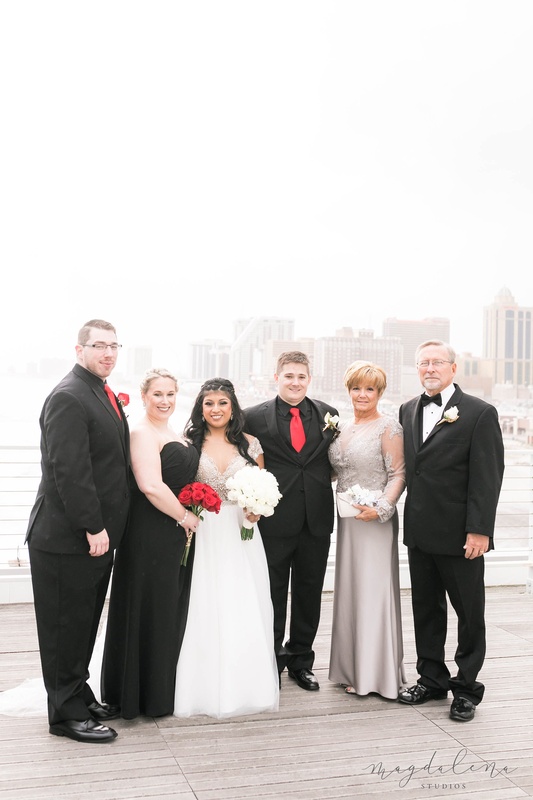 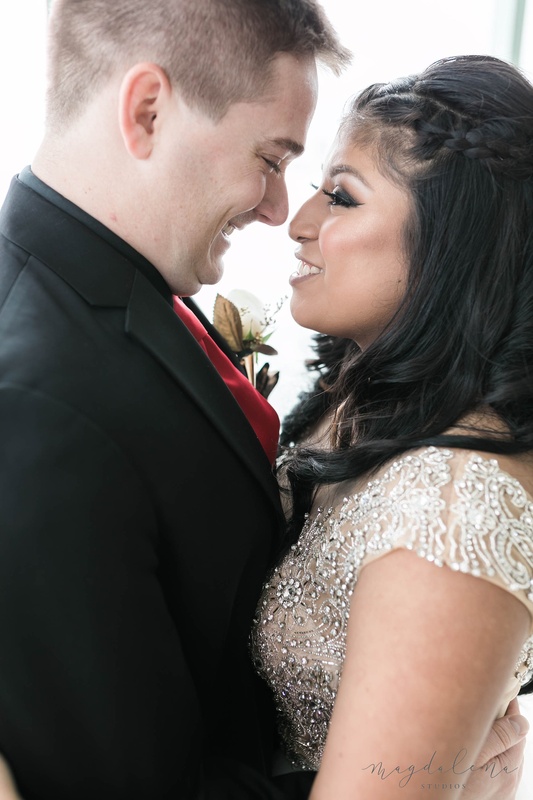 Their night was filled with lush red roses, designed by the Mother of the Bride, Bonnie, and Atlantic City Florist. 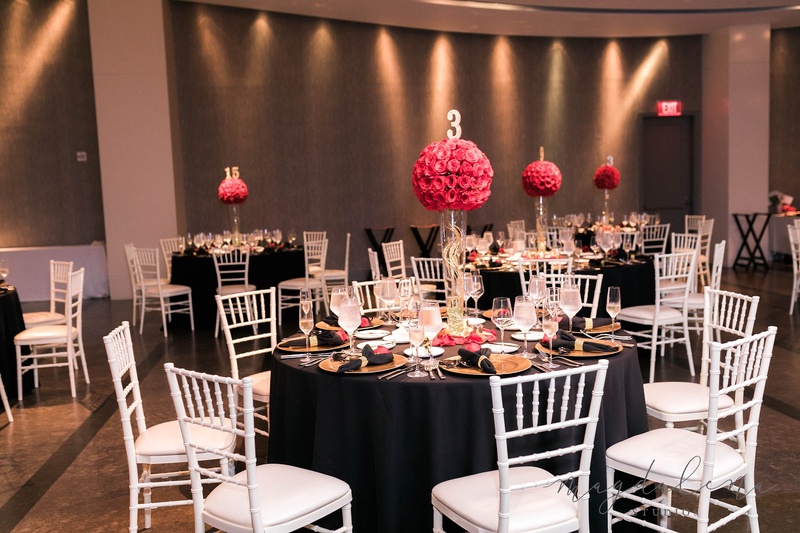 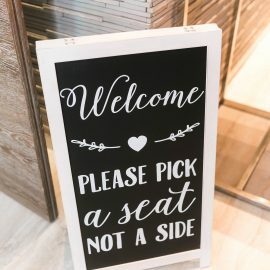 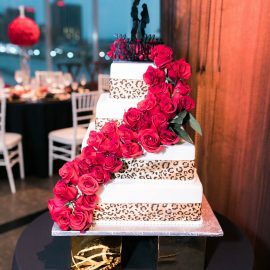 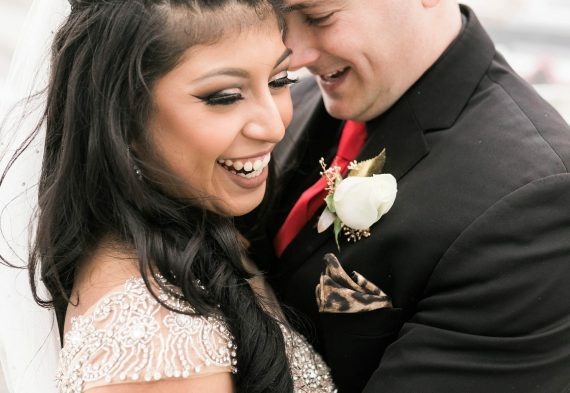 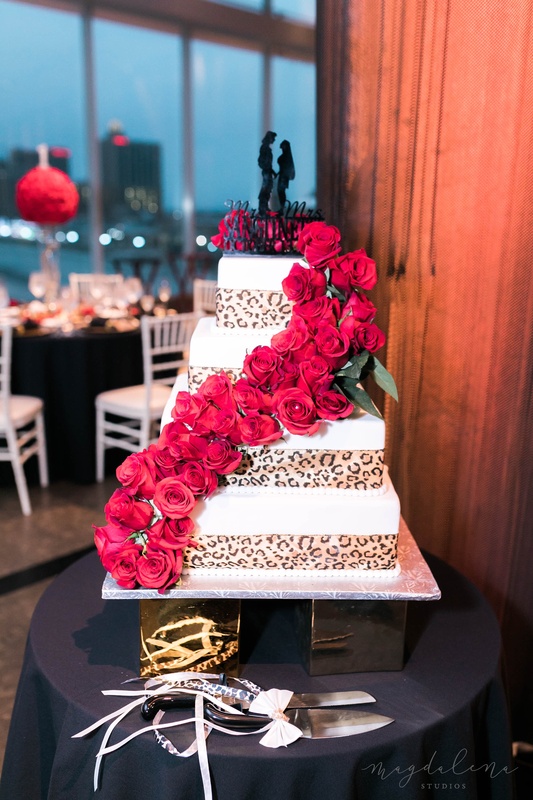 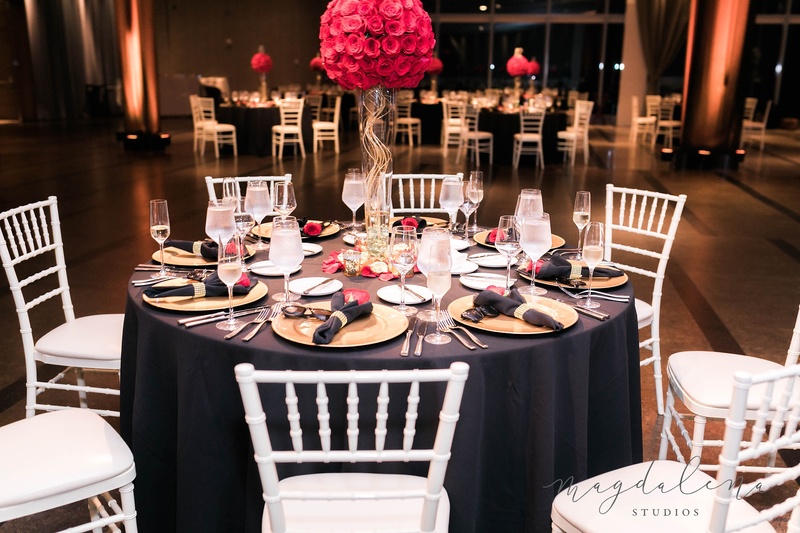 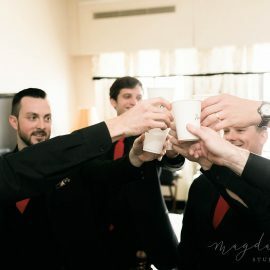 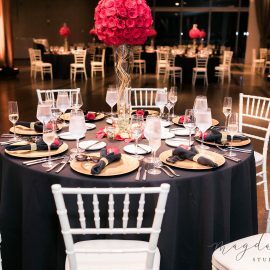 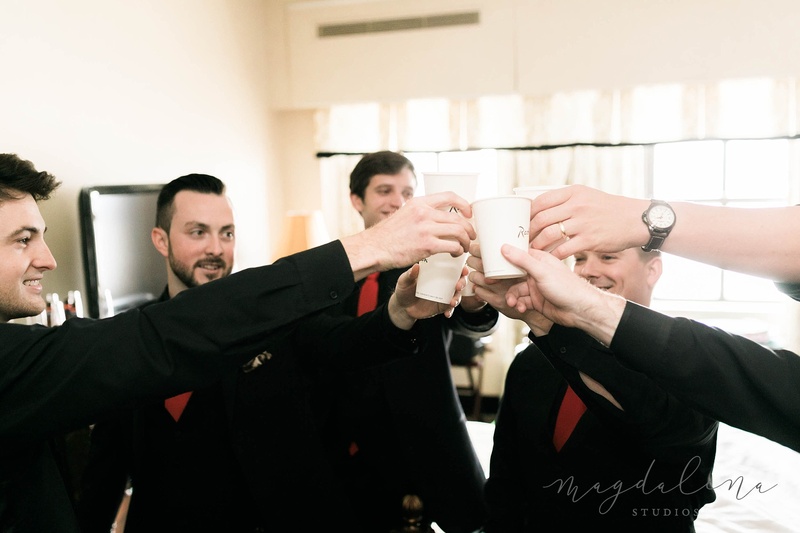 Their tables were adorned with gold, red, black, and leopard print to honor the combined style of both the bride and the groom. 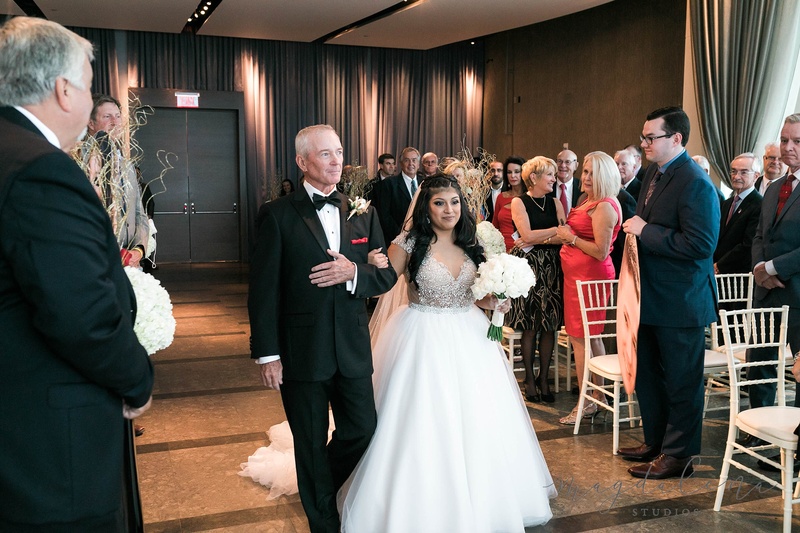 Kenna also had a quick change for reception changing into a mermaid style dress from her ballgown during ceremony. 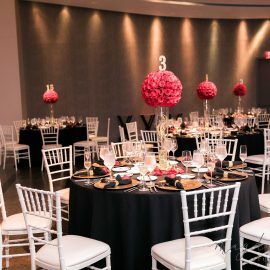 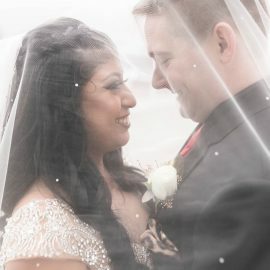 The couple danced the night away with their closest family and friends to the stylings of Kenny i Entertainment to celebrate their marriage.